Rugged Montana was once populated by several American Indian nations and was the site of the Battle of the Little Bighorn in 1876. During this battle, Lakota (Sioux) and Cheyenne groups defeated George Armstrong Custer and his men. 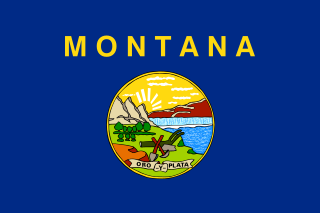 Montana is bordered by Idaho, Wyoming, South Dakota, North Dakota, and Canada. The climate in Montana is dry, with warm summers and cold winters. Western Montana is forested, while much of the eastern part of the state is flat. Farming is an important part of Montana’s economy. Hay, wheat, and barley are the main crops. Ranchers raise cattle. During the mid-1800s, silver and gold mines brought prosperity to Montana. Most mining operations are gone now. Glacier and Yellowstone National Parks attract tourists and outdoor enthusiasts. Watch a short video about Montana. Declan, Tobin. " 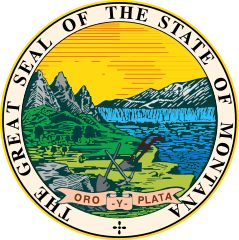 Facts for Kids about Montana ." Easy Science for Kids, Apr 2019. Web. 26 Apr 2019. < https://easyscienceforkids.com/montana/ >.